Professor Lynne Bilston from Neuroscience Research Australia (NeuRA) is urging drivers to check their luggage is properly secured before travelling this holiday season. In a crash, loose objects such as golf clubs, water bottles and toys can become dangerous missiles striking with a force up to 20 times their own weight. Many drivers prepare their luggage, water, snacks and entertainment for the children before a long drive, but making sure luggage is secure and well placed is just as important. 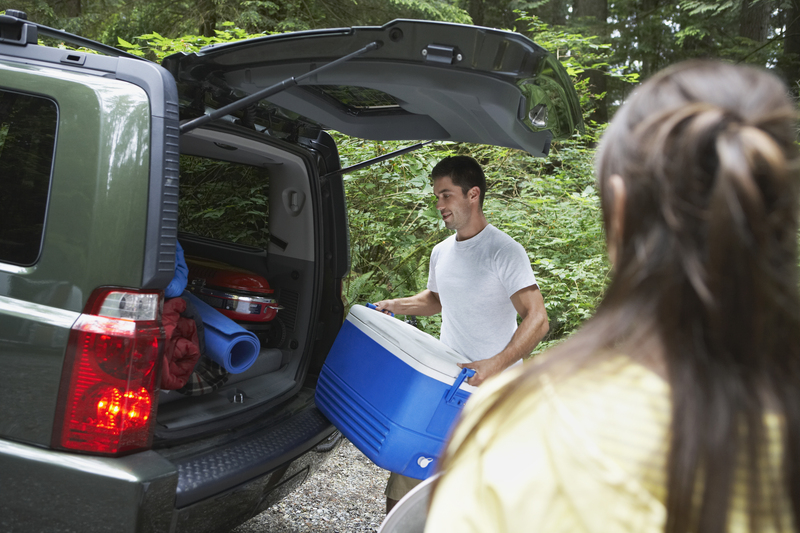 Professor Lynne Bilston, Senior Principal Research Scientist at NeuRA, recommends keeping all luggage below the height of the back seat or consider installing a cargo barrier. “All luggage needs to be properly packed and tied down so that everything is secure. You don’t want anything to be loose if you brake suddenly or are involved in a crash”, said Professor Bilston. Keep the back shelf under the rear window free of loose articles. Luggage such as suitcases, groceries and presents should be carefully packed in the boot space so it is evenly distributed across the width of the cargo area and close to the seat back. Many cars have luggage tie-down points to help you secure things so they don’t move around. If you have any heavy or sharp small loose items you should secure these in a box or large container. It is also important to make sure luggage does not impact the tether strap if there is a child restraint Don’t confuse luggage tie down points with child restraint tether anchorages or your child could be injured in a crash. Transport industry leader Transurban is partnering with NeuRA to strive for fatality and injury-free roads through funding the Transurban Road Safety Centre. Group Executive Project Delivery, Tony Adams said Transurban understands the importance of road safety research and safely securing luggage in cars. “The holidays are a time when drivers often pack more into their cars than they would usually, highlighting how important it is to ensure items are properly secured and packed so they cannot become dislodged in the event of an accident,” said Mr Adams. Professor Bilston recommends parents plan ahead to have regular rest stops to let the kids run around. She suggests parents pack a variety of activities, but ensure all items are packed securely so they don’t become missiles in a crash. Ensure you are well rested before travelling and take plenty of breaks – especially if you are travelling with kids. Please note the NeuRA media and communications unit is closed until Monday, 7 January 2019.